The Louis Vuitton of Maldives. Discover the exceptional 45-villa haven in the pristine Noonu Atoll, in the Maldives. A sanctuary for the honeymooners and couples looking for unbeatable privacy and 5 star luxury in the Maldives Islands. World class Starwood luxury at St. Regis Vommuli Maldives. Private villas with designer luxury experience. Nestled in Noonu Atoll the resort offers villas with water slides. Soneva Jani is one of the most luxurious resort in the Maldives. Get a feel of the slow life at Soneva Fushi with no shoes and no news. The gem of the Baa Atoll. The ultimate luxury getaway in Maldives - One & Only Reethi Rah. One of the few luxury resorts in the Maldives that is accessible by speed boat. Velaa Private Island offers modern sophisticated luxury and exceptional dining experiences in the Maldives. The resort that has art written all over it. Joali Maldives a unique sensation of ultimate luxury in the Maldives. Vakkaru Maldives is the gem of the UNESCO biosphere of Baa Atoll. A timeless sanctuary and an dreamlike getaway to a perfectly sunny island with great reef. For the party animal in you and for those who would like a vibrant holiday W Maldives is the resort to look at. Known for its vibrant and happening atmosphere Finolhu Maldives throws some of the best parties and offer the best dining experiences. Count your odds at the longest put in Maldives at Shangri La's Villingili. Exotic luxury and carefully curated five star services. 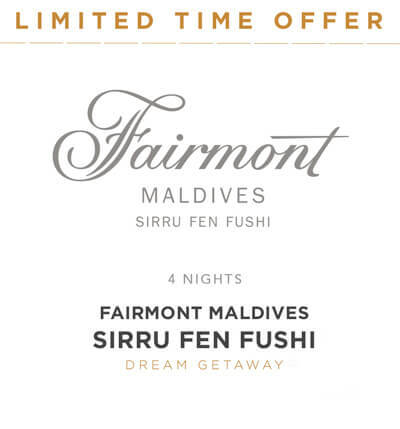 Fairmont Maldives Sirru Fen Fushi is a luxury all-villa resort with pools in all villa. The newest sensation of Maldives. Adults only haven in the Maldives Huvafen Fushi is a truly secluded five star resort with extremely private villas. World renowned Hilton hospitality in the Maldives. Impeccable villas and design as well as excellent standards of service. This resort has one of the best kids clubs in the Maldives. Jumeirah Vittaveli is best known as a luxury resort for family holidays. Westin Maldives is the latest addition to UNESCO protected Baa Atoll in close proximity to Hanifaru Bay. The award winning Most Romantic Resort in the world Baros Maldives. An adults only resort in Maldives ideal for couples and honeymooners. A secluded getaway in the Haa Alifu Atoll ideal for long stays. The ambiance is calm and serene giving the true essence of Maldives. The Starwood luxury offering of Sheraton Maldives is an idyllic island close to the airport excellent for family holidays in the Maldives. The greenest resort in the Maldives Six Senses Laamu Resort and Spa. The only resort in the Laamu atoll staying true to Six Senses standards. Five star luxury for a family friendly holiday. A short speed boat ride away from the airport. One of the best resorts for Family Holidays in the Maldives. A cozy island which a short speed boat transfer away from the airport, Banyan Tree Vabbinfaru is famous for the unbeatable privacy it offers. Kanuhura Maldives located on a private island in eastern Lhaviyani Atoll, offers a luxurious Maldives retreat feel with its elegance and unique offering. Atmosphere Kanifushi is the ultimate all inclusive resort and the gem of the Lhaviyani Atoll ideal for long family getaways. All inclusive luxury offering at Lily Beach Maldives has excellent ratings and five star reviews. Recommended for All Inclusive Holidays in Maldives. Offering Maldivian essence in all forms of luxury is the Sun Siyam Iru Fushi. Ideal for family holidays in the Maldives. A very cozy resorts offering some of the best over water villas in the Maldives, JA Manafaru is an iconic Maldives Resort. A luxury Maldives adults only island hideaway ideal for couples planning on a intimate getaway to the paradise. Situated in the UNESCO protected Baa Atoll, Amilla Fushi Maldives is the epitome of luxury and is ideal for families and couples alike. Excellent family resort in the Maldives offering great amenities and kids’ activities. A family friendly resort in Gaafu Dhaalu Atoll Maldives. Sophisticate and luxurious Over Water Villas in the Maldives. Rustic getaways to one of the most luxurious resorts in the Maldives. A cozy small island in a far-away hideout with the best dining and family friendly ambiance. Ideal for families and long stays. World’s first over water observatory at Anantara Kihavah Villas Maldives. Unique luxury offering in Baa Atoll Maldives. South Ari Atoll is home to the whale sharks and the Manta Rays and no better resort to experience them other than Lux* Maldives. A secluded private hideaway in one of the largest resort islands in the Maldives. Ayada offers a supreme luxury for private getaways in Maldives. An intimate private Maldives island resort - COMO Cocoa Island with excellent house reef in South Male atoll. One of the most private and quiet resorts in the Maldives offering seclusion and peace for a very relaxing holiday in the Maldives. A rustic super luxury resort in the Maldives Gili Lankanfushi offering best of both worlds Maldives and Luxury. An all-time favourite for attractive rates for long stays in Maldives for families and couples alike. Enjoy sublime luxury at The Residence Maldives. A boutique style getaway with cozy villas and privacy for intimate getaways as families or couples. Excellent reef for snorkeling as well. Five star luxury at unbelievable rates at Park Hyatt Hadahaa. 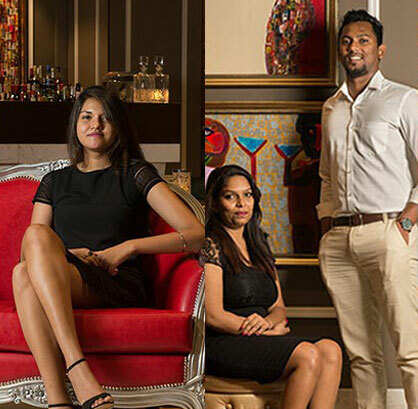 From a world renowned hospitality brand in Maldives. Offering some of the best over water villas in the Maldives Angsana Velavaru is known for the best spa experience in Maldives. A quick speed boat ride away from Male Airport is the Coco Bodu Hithi offering attractive rates for beach villas and water villas in Maldives. An all – time favourite Velassaru Maldives is situated in the South Male Atoll. Best for Maldives Family Holidays. Another COMO resort staying true to its luxury and stunning overwater and beach villas in Maldives – Maalifushi by COMO. An All Inclusive luxury resort ideal for families and situated in South Ari Atoll the resort is famous for spotting whale sharks and exquisite marine life. Kihaa Maldives a resort in the Baa Atoll and all its villas have a private pool and it is an all-inclusive resort in the Maldives. Angsana Ihuru located in the Male atoll is a cozy small island with exceptional wellness offering and as Banyan Tree as sister property. Soak up in sun, sea and sand at the recently opened Grand Park Kodhipparu Maldives. A quick speed boat transfer away. The luxurious adults-only island paradise in Maldives. All inclusive Hurawalhi Island Resort is perfect for honeymoon in the Maldives, wedding, or a beach holiday. Nika Island; one of the islands where you will find a private beach for each and every villa and with five star service. Kurumba Maldives is the first and oldest resort of Maldives. The grandeur and prestige is unwavering and is at a short distance of 15 minutes from the airport. An All Inclusive adults only resort from the popular Centara Resorts. Centara Ras Fushi is for couples and honeymooners. Nestled in UNESCO Protected Baa Atoll Dusit Thani Maldives is a family friendly resort in the Maldives with attractive packages. An affordable All Inclusive resort reachable in 45 minutes by a quick sea plane transfer. Recommended All inclusive resort in Maldives. Offering a year-round best offersand a private villas, OZEN by Atmosphere at Maadhoo - A Luxury All-Inclusive Resort is located in South Male Atoll. An Italian favourite with character and design. Affordable five star luxury with stunning villas and exceptional service right here in Maldives. Merging Maldivian design and architecture with modern esthetics, Fushifaru Maldives' is one of the hottest island getaways. Luxury Is Not Only Defined By Extravagance Or Comfort. Luxury goes beyond the resorts and amenities. Luxury is all about pure and exclusive indulgence. 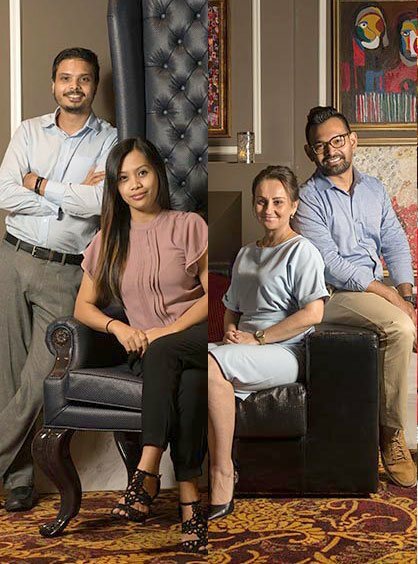 At OV Holidays, we equate luxury to be the outstanding experience we provide: from our services to the products we promote. We Give You Full Confidence On Our Very Own Maldives Luxury Resort Choices Below To Create Your Dreamlike Getaway Escapes.